No one refers to golf as a simple game. At the heart of this is perhaps the golf swing. A mysterious and complicated endeavor. What seems like a simple fluid movement is actually a complex and even dynamic set of movements that require precise timing and mechanics from the way we hold our grip, to our stance, and involving the rotation of our body. Throw a flexible club into the mix, and the formula of your swing dynamic becomes doubly intricate. 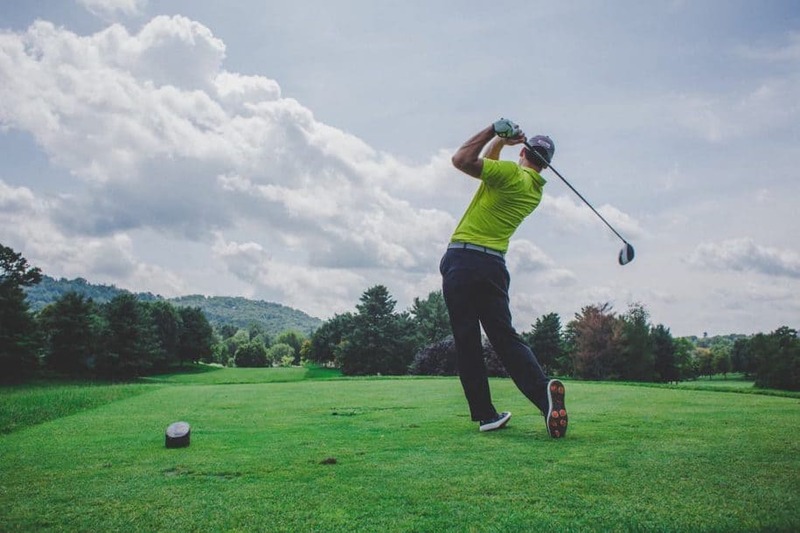 The expectation (or perhaps hope) in the golf swing is to produce as much kinetic energy as possible into the club head so when it comes in contact with the ball all that energy will transfer to the ball sending it flying. If our clubs were infinitely rigid – meaning, no parts could be bent or twisted no matter how great the force – then producing a consistent golf swing might actually be commonplace. Clubs however, are made with different components, each of which has its own finite torque and flex. Even though there is bending and twisting, the dynamics are like a double-edged sword. When the power of your swing is harnessed efficiently, what you get is that “euphoric” shot. In other words: perfection. You might be interested in reading something more about golf clubs and equipment. To chase after an efficient swing, we’re looking to the concept of club-fitting by “swing timing”. Swing timing refers to analyzing the point in time when your club starts to release, or in other words when the shafts starts to “kick back”. Unlike swing speed (sometimes referred to as club head speed), swing timing is more about how you swing the club which will directly correlate with what frequency your shaft should be. We’ve seen the tables referencing a particular flex with a players swing speed. Swing speed is generally the speed of the club head right before impact with the ball. Getting on a launch monitor to figure out your swing speed can be an indicator of what flex you need. But most players arrive at that speed with different swing or shaft loading patterns of when their clubs actually release. And taking this into account, does greatly affect the shaft frequency you need to fit your swing. Llloyd Hackman, founder of Lotus Golf, and inventor of the Fit Chip Swing Timing system illustrates how club-fitting by swing timing can produce unexpected results. PGA Tour Professional J.L Lewis, first came to Hackman with an X-Stiff shaft in his driver. Being the fast hitter that he was, no one questioned his shaft flex. However analysis showed that Lewis’ swing timing was such that his shaft was kicking back early in his swing pattern. This allowed for a wider window of degrees between his shaft release point and the time of impact with the ball. Instead of an X-Stiff flex, he was fit with an Senior flex shaft, which helped him gain more distance and accuracy, and go on to secure 2 PGA Tour wins and several top finishes. Are you sure the shaft frequency you’re playing with is perfectly matched to your swing timing?